The average person has probably never paid attention to their storage facility’s roofing. It’s not until there’s an issue, like leaking, or damage, that you notice what material it’s made of, how it’s fastened and so on. Most roofing is in fact, made of steel. 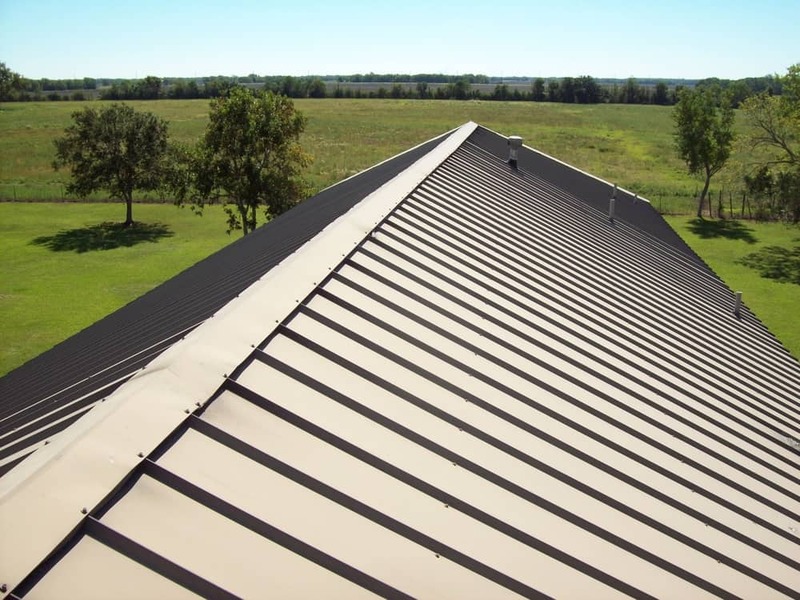 In this blog, we’ll discuss why steel roofing is the superior choice, and how storage facilities are able to benefit from it the most. There are many benefits to incorporating steel roofing into your building plans. Here are a few of the best ones. Steel is Recyclable- By choosing a steel roof you can do your part to cut down on high volumes of air and water pollution, as well as mining waste. Also, in 45 years when you finally need to replace your roof, your old steel one can still be recycled. Most storage facilities are designed with steel walls and roofing already because it’s cheap and effective. Steel is Durable- Anyone without a steel roof knows how costly roofing repairs can get. Whether your current roof is made of aluminum, tile, or tar, you’ve most likely already implemented extra costly measures to prevent decay and damage. Steel roofing, on the other hand, saves you money by lasting longer and looking great. Steel increases energy efficiency- A steel roof can keep cooling costs down with its reflective properties and efficient designs. When installed with above-sheathing ventilation, they allow heat to ventilate in hot weather, and then turn around and insulate the building in cold weather. This helps storage facilities with no climate controlled units protect what’s inside from damage caused by the heat and the cold. Also, with the right paint finishes, steel roofing can reach a solar reflectiveness of up to 70 percent. Steel roofing stays clean- Easily cleanable, steel roofs prevent the growth of unwanted organic matter. Common roof algae, moss or lichens can eat through your roof deck and cause wood rot, which then allows moisture to seep through and mold to grow. As you can see it’s all a never-ending rabbit hole, so it’s best to stick with steel and prevent another costly repair. A moss or algae covered roof also prevents sun reflection, trapping the sunlight instead and increasing your cooling costs overall. There’s a reason you’ve never noticed the roof of your storage facility before- because it’s always clean and debris free! As we’ve just outlined, there are many reasons why a steel roof is more beneficial than other typical roofing materials. They’re cost-effective, great for the environment, and keep clean! At Affordable Family Storage in Billings, MO, we know what will protect your personal belongings from natural elements, and we’ve designed our many facilities with your needs in mind. Whether you’re looking for a new storage facility, or just discovered a need for one, Affordable Family Storage is the place for you! Visit our website to view our many locations and unit sizes, or contact us today if you have any questions.